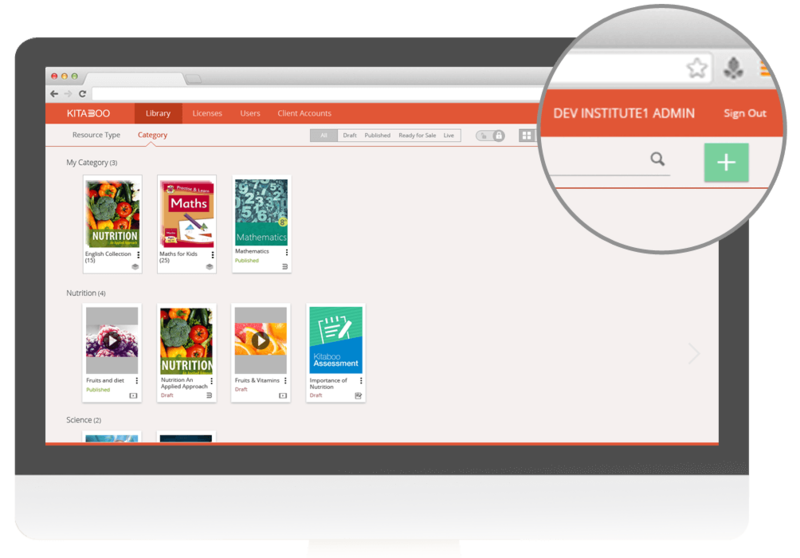 Whether you are a K-12 publisher or a Higher Ed publisher, create interactive eBooks designed for personalized learning to suit various learning styles. Go beyond eBooks and increase student engagement by embedding multimedia and interactivity features such as video, audio, images, assignment widgets, read aloud and do much more than just reading eBooks. Explore new opportunities with interactive digital publishing and connect with your target audience on their favorite devices. Kitaboo designs and delivers digital content compatible on multiple devices (smartphone, tablet or a PC). Now, no need for creating eBooks separately for each of them. 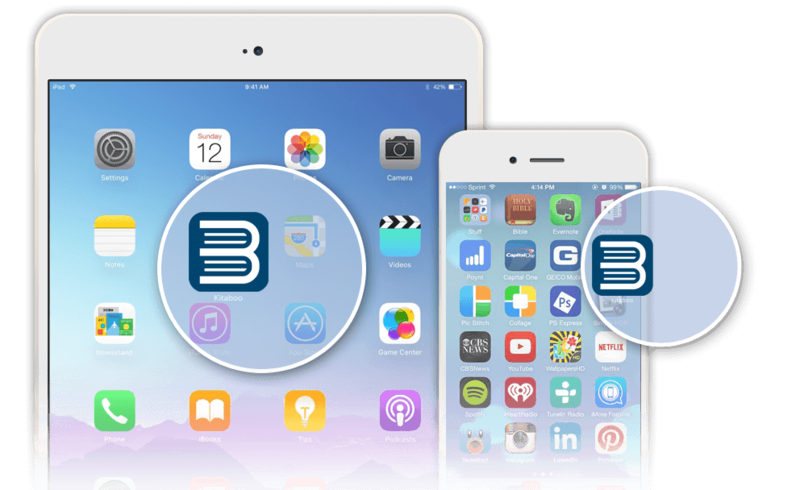 The publishing suite also supports reading on multiple operating platforms of iPad / iPhone (iOS), Windows, Android Devices and HTML5. With KITABOO you don’t have to worry about how it is going to work with your existing LMS or eStore. It is a LTI compliant and can easily integrate with your existing LMS. If you already have an eStore in place, KITABOO can easily integrate with it so that you are up and running to sell eBooks on your eStore. With Kitaboo’s secure cloud-based distribution, your content is DRM protected & encrypted and can be accessed with unique access codes only. Enjoy your eBooks experience offline. 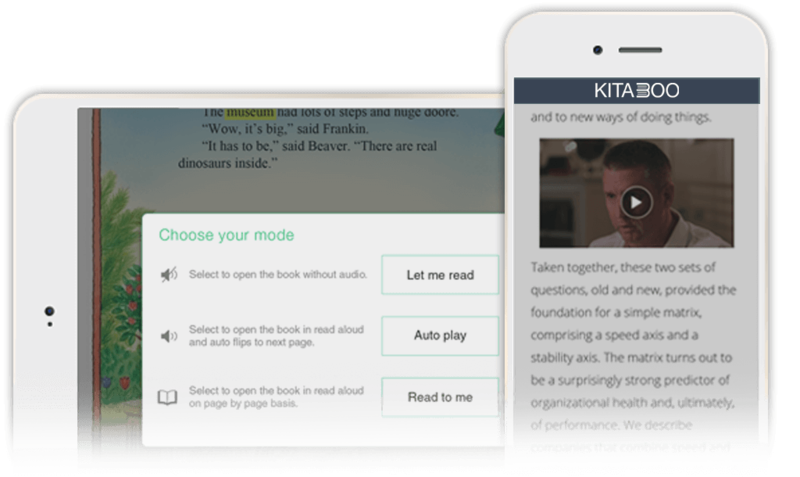 Once downloaded, Kitaboo allows you to access and read eBooks in the absence of Internet connectivity. Designed keeping the needs of publishers for offline secure access, you can now extend the reach and reading of your books in places which do not have open Internet access. 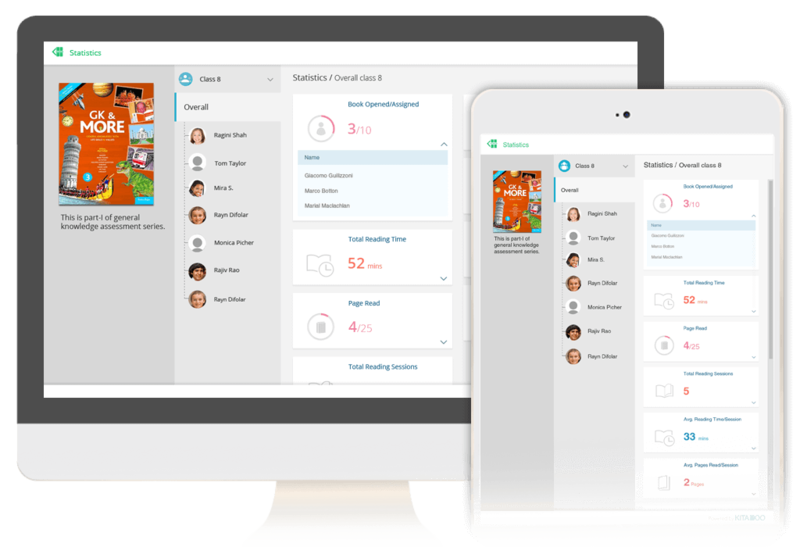 Deliver eBooks to students and teachers in your own branded reader app. Know the content metrics and engagement performance of your eBooks in few clicks. 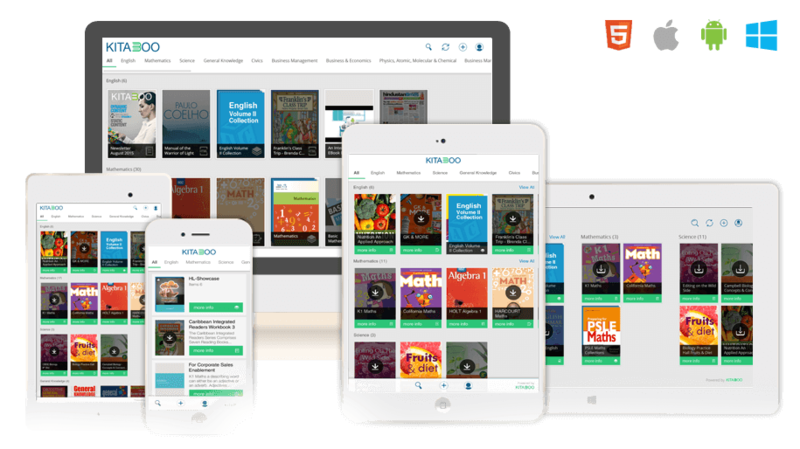 KITABOO allows end users (students and teachers) to collaborate over eBooks and also provides analytical data to publishers on how the content is being consumed such as number of licensed eBooks distributed, which content type is popular – audio, video or an image, the average time spent on the eBook and many more.